A landmark in the industrial past of Victorian England, the catacombs of the famous Camden district are a vestige of Camden's markets and testimony to the commercial strength of this neighbourhood. You will not find tombs and other burials as in other catacombs. This atypical place was in fact used for the movement of goods and had stables for horses and ponies, that were used to transport waggons and other cargo trailers. Now belonging to Network Rail, and those since 2012, only a small part of these underground roads remain today. Most of the structure remains submerged in water and closed to the public, this incredible architectural feat is still largely preserved. Indeed, many sections of the catacombs were destroyed during the large relocation that Camden experienced in the 1980s. 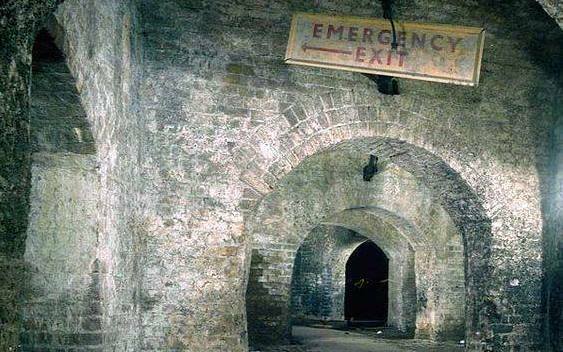 Now, the only access to the Catacombs of Camden is through a single entrance near the former railway rotunda, leading to a tunnel which crosses the main thoroughfare. 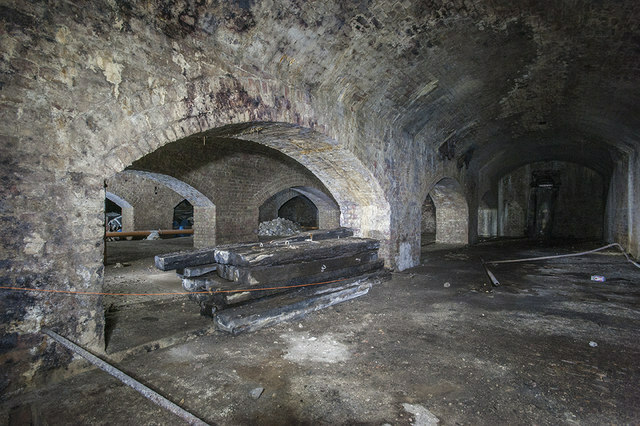 Access to the Catacombs is not free because of the risk of flooding due to the presence of the underground basin connected to the London canal system. But it is possible to visit them by going on Saturday morning at 11 o'clock at the Camden Town subway station, at the following address: 178 Camden High Street, London, NW1 8NH. The ticket costs £8.